More than 10 centuries ago, an ageing astronomer and mathematician, Omar Khayyam, turned his existential anguish into poetry and composed over 1,000 four-line verses as a serenade to life and a lament on eternity. Khayyam’s The Rubaiyat traverses the murky waters between life and afterlife, God and godlessness, and doubt and mysticism, with the nimble feet of both the Sufi and the heretic. 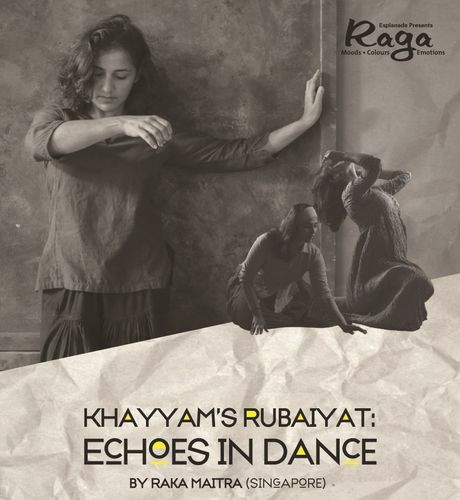 In this production, the dancers’ bodies converse with the sea of ideas that Khayyam sets adrift in his work. Using techniques of odissi and contemporary vocabularies drawn from Indian movement traditions, they manifest many reflections of his poetry through the body and through music influenced by Sufism and Hindustani classicism. This is a yearning: a combination of movement, dance, music and the stirring imagination of a Persian mathematician who desired to be a poet.